Players and officials of Nigeria Professional Football League side, Akwa United have arrived in Lagos as they get set to hit Sudan for their CAF Confederation Cup playoff tie against Al-Hilal. A team of 19 players and top officials arrived Lagos Tuesday evening via Dana Air. 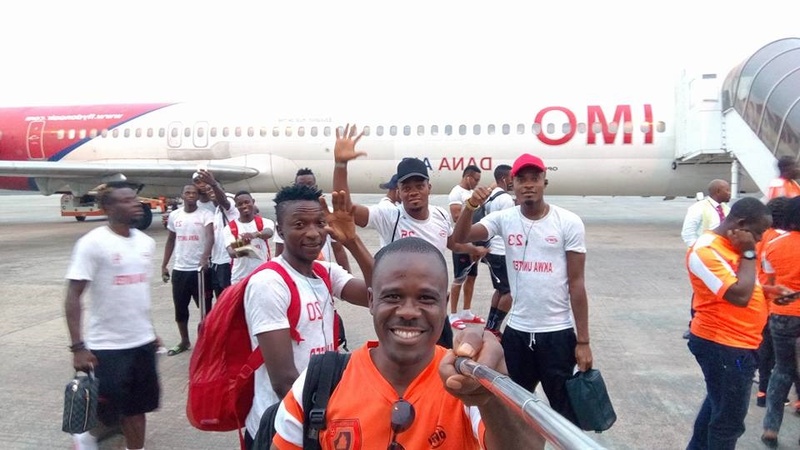 Bounce Sports gathered that the Akwa United will jet out of Lagos Wednesday to Ethiopia and catch a connecting flight to Sudan.